Hi everyone! 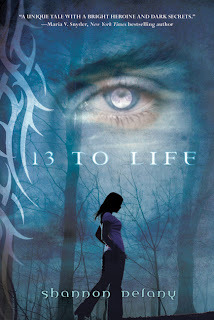 I am interviewing Pietr today form 13 to Life by Shanon Delany. Check out 13 to life, the 2nd book in the series, which is coming out soon, Secrets and Shadows. Pietr, I have one question--Why did you tie Jessie to a tree?! That is an excellant question. The instinct to run can be powerful when a werewolf replaces the person you were just kissing. And the instinct to chase is even stronger in a newly changed werewolf when someone runs. I tied Jess to the tree for her own safety. Most of what I do is for the good of Jess’s safety. I may want to pursue Jess normally, but pursuing her as a wolf would not be healthy for either of us. Thank you so much, Pietr, for explaining that. Shannon Delany is the winner of the first-ever cell phone novel contest in the western world and the author of the 13 to Life series through St. Martin's Press. 13 to Life is already available and Secrets and Shadows hits stores 2/15/11 with Bargains and Betrayals landing on shelves 8/16/11 (already available for pre-order! 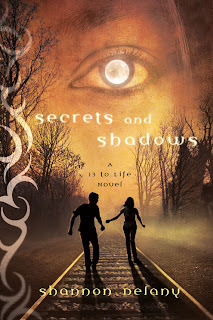 )and two more as of yet unnamed novels coming out in 2012.